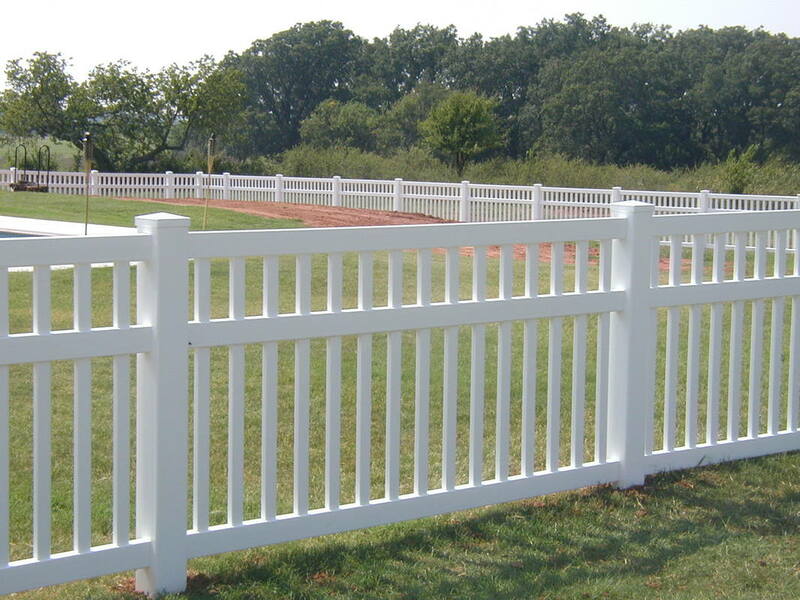 St. Louis Fence Co. is the leading provider of Vinyl Fencing in the St. Louis, MO area. Vinyl fencing is one of our most popular fencing options for several reasons. Most notably, vinyl fencing is extremely low maintenance. Periodic cleaning with a hose or power washer is often all that is needed to keep these vinyl fences looking great. Also, vinyl fencing is built to last. A wooden fence may look great, but the lifespan of a wooden fence is a fraction of that of vinyl fencing. It is not uncommon for a vinyl fence to last 50+ years with minimal upkeep. Vinyl fencing is a great option for someone that doesn't want to waste too much time worrying about their fence. Once a vinyl fence is installed, the only maintenance necessary is periodic cleaning and spot repairs. Vinyl fencing comes in a wide variety of sizes and styles. One of our fencing experts can help you pick out a vinyl fence that works with your landscape and property. We carry a large selection of vinyl fencing and are sure to find an option that meets your needs and desires. Call us today or fill out the form on the right and one of our representatives will contact your shortly to set up a free consultation. St. Louis Fence Co. is your go to fence company for any and all vinyl fencing.